Fortis Healthcare Ltd. (Fortis), India’s leading healthcare delivery Company, today, announced its consolidated results for the quarter and nine-month period ended December 31, 2016 (Q3FY17 and 9MFY17). Consolidated PATMI at Rs 442 Cr versus a loss of Rs 30.6 Cr; PATMI includes a onetime gain in Share in Associates. This is the Company’s share in the profits of RHT which includes the exceptional gain arising from the FHTL transaction. EBITDAC at Rs 131.3 Cr versus Rs 121.3 Cr in Q3FY16. Represents a 14.3% margin, similar to the margin in Q3FY16. Net BT fees has reduced significantly because of the consolidation of Fortis Hospotel Limited. Net BT fees during the quarter was at Rs 71.2 Cr versus Rs 113.1 Cr in Q3FY16 and Rs 119.7 Cr in Q2FY17. Operating EBITDA was at Rs 60.1 Cr, a 7.3x increase over Q3FY16. Revenues were at Rs 188 Cr in the quarter, up 10.9% versus Rs 169 Cr in Q3FY16. Operating EBITDA was at Rs 37.4 Cr in the quarter versus a similar amount of Rs 38 Cr in Q3FY16. This represents a 19.9% margin versus 22.6% in Q3FY16. Consolidated PATMI was at Rs 489.9 Cr vs Rs 118.4 Cr in 9MFY16. PATMI includes a one-time gain in Share in Associates. This is the Company’s share in the profits of RHT which includes the exceptional gain arising from the FHTL transaction. Revenues were at Rs 2799.2 Cr, up 9.5% versus Rs 2556.8 Cr for 9MFY16. EBITDAC was at Rs 434.9 Cr, +15.7%. It represents a 15.5% margin versus 14.7% achieved in the 9MFY16. Net Revenues were at Rs 593 Cr, up 10% versus Rs 539 Cr for 9MFY16. Operating EBITDA was at Rs 134.2 Cr similar to the corresponding previous period. This represents a 22.7% margin versus 24.9% for 9MFY16. In February 2017, the Company filed its Composite Scheme of Arrangement and Amalgamation with the National Company Law Tribunal, Chandigarh for approval. The Scheme pertains to the Company’s proposal to demerge its diagnostics business, including that housed in its majority owned subsidiary SRL Limited into another majority owned subsidiary, Fortis Malar Hospitals Limited. In October 2016, the Company completed its acquisition of 51% economic interest in Fortis Hospotel Limited (FHTL). FHTL, was a subsidiary of the RHT Health Trust (RHT), and comprised 2 key clinical establishments of the Fortis Hospital Shalimar Bagh, New Delhi and the Fortis Memorial Research Institute (FMRI), Gurgaon. As a result of the acquisition of a majority stake in FHTL, it has become a subsidiary of Fortis effective mid - October and its results are being consolidated with Fortis. The transaction has also resulted in lower service fees i.e. net business trust fees that Fortis pays to RHT, thus improving the company’s operating profitability (EBITDA). Fortis has maintained a healthy balance sheet with net debt as of 31 December 2016 at Rs 1779 Cr, representing a net debt to equity ratio of 0.30 x versus 0.15 x in the corresponding previous quarter and 0.15x in the trailing quarter. The Company during the quarter also issued shares in lieu of the conversion notice received by it from the FCCB holders for its USD 30 Mn equivalent bonds listed on the SGX. This has increased the outstanding equity shares of the Company from 46.3 Crore shares to approx. 48.1 Crore shares. The Company has further received a conversion notice in January 2017 from the International Finance Corporation (IFC) for the USD 55 Mn equivalent FCCBs held by them for which the necessary allotment has already been done by the Board of Directors. The process for listing of the allotted shares is underway and is expected to be completed soon. The resulting capital post this conversion stands at approx. 51.7 Crore equity shares (excluding outstanding ESOPs). Post the above conversions, there are no further outstanding FCCBs / other convertible instruments. 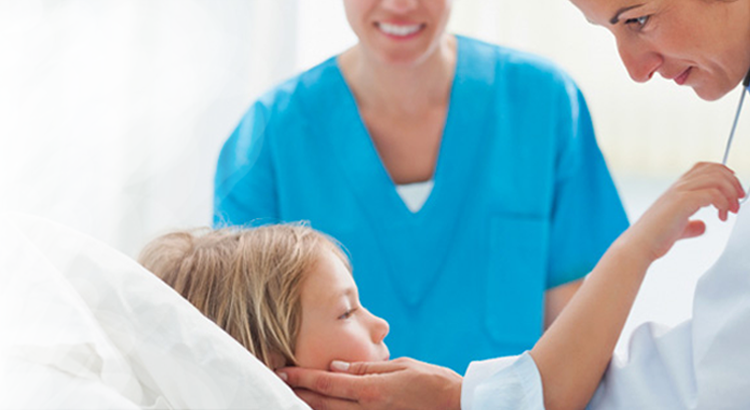 Majority of the Company’s hospital facilities continued to exhibit encouraging growth momentum. The Company’s top 10 facilities grew 9% to reach revenues of Rs 703 Cr. These contributed 77% to total revenues versus 76% in the corresponding previous period. Key hospitals such as FMRI, FEHI, Fortis Mulund, Fortis Anandapur, Fortis Ludhiana, Fortis Mohali, Fortis Noida and Fortis Malar continued to exhibit a healthy operational performance. Key operating metrics of hospitals continued to remain in a positive trajectory. ARPOB for the quarter was at Rs 1.44 Cr versus Rs 1.38 Cr in the corresponding previous period. ALOS stood at 3.56 days versus 3.55 days in Q3FY16. Occupancy across facilities reached 73% versus 72% in the corresponding previous period. This was down from 82% in the trailing quarter primarily because of the impact of demonetization witnessed from November 8th, 2016 and the festive season in Q3FY17. In facilities’ such as FEHI, Noida, Shalimar Bagh, Amritsar, Ludhiana and Anandapur, occupancy was more than 75% signifying an improvement in business performance versus the corresponding previous quarter. Revenue from International patients for the quarter stood at Rs 96 Cr, a growth of 20% over the corresponding previous period, contributing 10.5% to overall revenues. For 9MFY17, international patient revenue stood at Rs 296 Cr, +18%. While most facilities continued healthy improvement, FMRI, the Company’s Gurugram facility witnessed ARPOB of Rs 2.80 Cr. This is better than the Rs 2.50 Cr achieved in Q3FY16 and Rs 2.60 Cr in Q2FY17. With 268 operational beds, FMRI generated revenues of Rs 116 Cr in the quarter, a 13% increase. For 9MFY17, revenues stood at Rs 357 Cr, +19%. The international patient mix at FMRI witnessed an 18% growth contributing 39% to its revenues for the quarter. FMRI continues to see an improvement in its operating profitability as compared to Q3FY16. FEHI recorded revenues of Rs 96 Cr a growth of 14% versus the corresponding previous quarter. It witnessed a healthy occupancy of 77.8% and an ARPOB of Rs 1.74 Cr., led by a focused medical program strategy and a complement of top clinicians in their respective specialties, FEHI is expected to show a progressive improvement in its performance, going forward. The Company continued to see healthy growth in the procedures performed across its facility network. Joint replacement surgeries (Knee and Hip) witnessed a strong growth of 23% with 2169 surgeries being performed during the quarter. For the quarter, the number of transplant surgeries (Heart, Liver and Kidney) stood at 228. A total of ~15,700 cardiac procedures were done in the quarter. The lab medicine i.e. the pathology business contributed 86% to total revenues and grew 6.2% over the corresponding previous quarter. The contribution of the imaging business to total revenue stood at 7.0% similar to the corresponding previous period. Clinical Trials, Wellness and the International segment contributed 6.3% to the overall revenue of the Diagnostics business. SRL performed over 3.63 million accessions during the quarter, a 3.8% growth over the previous quarter. Through these accessions, it undertook 8.39 million tests as compared to 8.00 million tests in Q3FY16. The business opened 13 new laboratories and exited 4. It added over 186 collection points and exited 31 in the quarter. As of December 31, 2016, SRL had a network of 346 labs and approx. 7636 collection points. The business continued to have a well -diversified geographical mix with no over dependence on any region, allowing it to optimally capitalize on its pan India network. The business witnessed 32% revenues from the North, 27% from the West, 19% from the South, 20% from East and Central India and 2% from International (for the nine month period ended December 31, 2016). Eminent interventional cardiologist Dr Ashok Seth, Chairman - Fortis Escorts Heart Institute presented findings of a six-month clinical trial on the first thin strut fully dissolvable stent in the world, developed in India, at the prestigious main arena, Late Breaking Clinical Trials/First Report Investigations at the Cardiovascular Therapeutics (TCT) 2016, Washington DC. ‘Nano Crush,’ a new technique for the stenting of branching arteries developed by Dr Shuvanan Ray, Chief - Cardiology and his team from Fortis Hospital, Anandapur, Kolkata, was accepted at the European Bifurcation Society meet held in Rotterdam. In a first in India, an 18-year-old patient from Uzbekistan suffering from a congenital heart defect was treated with a peri-areolar scar less, minimally invasive procedure at Fortis Escorts Heart Institute, New Delhi. The surgery was led by Dr Yugal Mishra, Director – Cardiovascular Surgery. A 102-year-old patient, who had fractured his hip after a fall, could walk again within 48 hours of undergoing a highly challenging partial hip replacement surgery at Fortis Hospital, Shalimar Bagh, New Delhi. The Orthopaedics Team that conducted the surgery was led by Dr (Prof) Amite Pankaj Aggarwal, Unit Head - Joint Replacement. A team led by Dr K. R. Balakrishnan and Dr Suresh Rao at Fortis Malar Hospital, Chennai, performed the heart transplant surgeries on two Iraqi siblings. The boy and the girl, aged 16 and 13 years respectively, were suffering from dilated cardiomyopathy, causing the ventricles of the heart to dilate and weaken. Doctors at Fortis Escorts Hospital, Faridabad conducted a rare surgery to treat the tongue cancer of a 60-year-old patient by reconstructing the organ using flesh from his thigh. The surgery was led by Dr Nitin Singhal, Surgical Oncologist, while the tongue reconstruction was led by Dr Surendra Chawla, Senior Consultant, Plastic & Reconstructive Surgery. A team headed by Dr Mandeep S. Malhotra, Head - Department of Head, Neck and Breast Oncoplasty and Dr Rana Patir, Director & HoD - Neurosurgery removed a recurrent cancerous tumour from the forehead of a patient after a 16-hour surgery, at Fortis Flt. Lt. Rajan Dhall Hospital, Vasant Kunj, New Delhi. The tumour was spreading rapidly across the patient’s eyeballs, orbit, face and brain. Two Fortis luminaries, Dr Ashok Seth, Chairman – Fortis Escorts Heart Institute, New Delhi and Dr Ashok Rajgopal, Executive Director & Chairman, the Fortis Bone and Joint Institute, will respectively receive the prestigious Dr B. C. Roy Awards for the ‘Eminent Medical Person’ and the ‘Best Talent in Development of a Medical Speciality’. Prof (Dr) Mukut Minz, an eminent transplant surgeon and Director - Renal & Pancreas Transplant Surgery, Fortis Hospital, Mohali, with over 3500 kidney transplants to his credit, is being honoured with the prestigious Padma Shri for his contribution to the field of Medicine. Dr Vivek Jawali, Chairman - Cardiac Sciences, Fortis Hospitals, Bengaluru was selected as a member of Medical Council of India's special five-member committee that will draw up an action plan to stimulate the growth of medical specialities and super specialities in India. Dr Bidhu K. Mohanti, Director and Head, Radiation Oncology, FMRI, Gurgaon, was honoured with the Lifetime Achievement Award at the joint Biennial Conference of the International Federation of Head and Neck Oncologic Societies (IFHNOS) and the Foundation of Head and Neck Oncology (FHNO). Dr Ashok Kumar, Director & Head, Department of Rheumatology, Fortis Flt. Lt. Rajan Dhall Hospital, New Delhi, was presented with the prestigious MN Passey Award by the Indian Rheumatology Association for his distinguished services in the field of Rheumatology. Fortis Hospital, Mulund, Mumbai won a Grand Excellence special recognition and two Gold Awards at the Asian Hospital Management Awards (AHMA) 2016, at Ho Chi Minh City, Vietnam. Fortis S. L. Raheja Hospital, Mumbai won three Golden Star Six Sigma Awards for Best Hospital, Best Use of Medical Technology and Best Medical Programme (Diabetes). Fortis Hospital, Mulund, Mumbai won three recognitions for Medication Safety, Innovation in Safe Communication and Patient & Family Education categories at the Asian Patient Safety Awards 2016, at the 6th International Congress on Patient Safety in Chennai.